I’m only a wee bit Irish, so I really only celebrate St. Patrick’s Day a wee bit. In my early twenties, this meant all-day beer fests, I mean, parades, on the south side of Chicago. Now, it means sharing the true meaning of the day with my kids, turning everything green and coloring rainbows with pots of gold at the end. When I was working full time and commuting at least two hours every day, I let most holidays pass me by without trying to make many memories with my kids. Some working moms still find time and energy to accomplish fun holiday meals and crafts, which is just amazing to me. My sincerest props to you! Now, as I’m staying at home with the kids for who knows how long, I want to seize the day! I used to dread the holidays – and all of the stress and guilt that came with it, but now I’m looking forward to all of them, and St. Patrick’s Day is no exception. 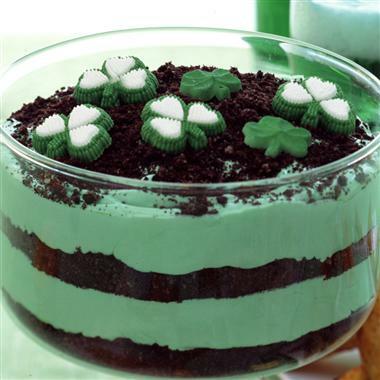 I’ve been searching my favorite blogs and Pinterest for enjoyable St. Patrick’s Day activities and treats. Below, I’m sharing some of the fun I’m planning. I wanted to share these with you now to give you a little time to prepare. 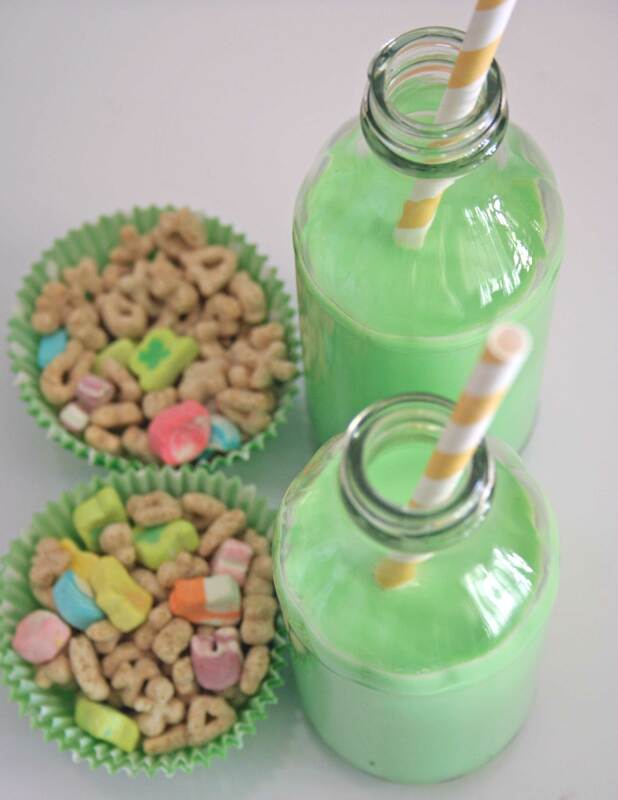 Green Milk and Lucky Charms For Breakfast! In mixing bowl, combine cake mix, puddings, oil, water, and eggs with electric mixer. Pour into prepared pan and bake 40-45 minutes or until toothpick inserted comes out clean. 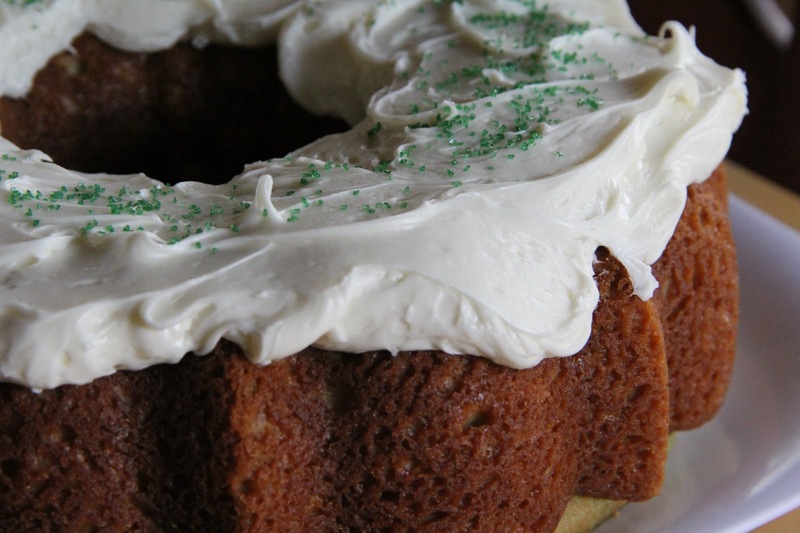 Once the cake is cool, frost with your store bought vanilla frosting and add green sprinkles. Pour milk into large bowl. Stir in food coloring. Add pudding mixes and beat with a wire whisk 2 minutes or until well blended. Let stand 5 minutes. Gently stir in Cool Whip. In a trifle bowl, layer crushed cookies and pudding mixture. Garnish as desired. Refrigerate for at least an hour or until ready to serve. Enjoy making St. Patrick’s Day memories with your family! ← Making Waves: Marissa Mayer, CEO, Yahoo!